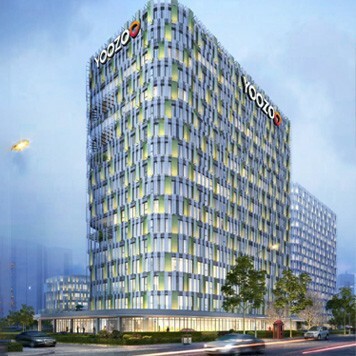 Founded in 2009, YOOZOO GAMES Co., Ltd. (SZ.002174) is a world-leading provider of interactive entertainment. YOOZOO Games implements the strategies of big data, globalization, and quality products to achieve integrated development across four major arenas: globalized game R&D and publishing, IP management, big data and intelligent technology, and pan-entertainment industry investment. 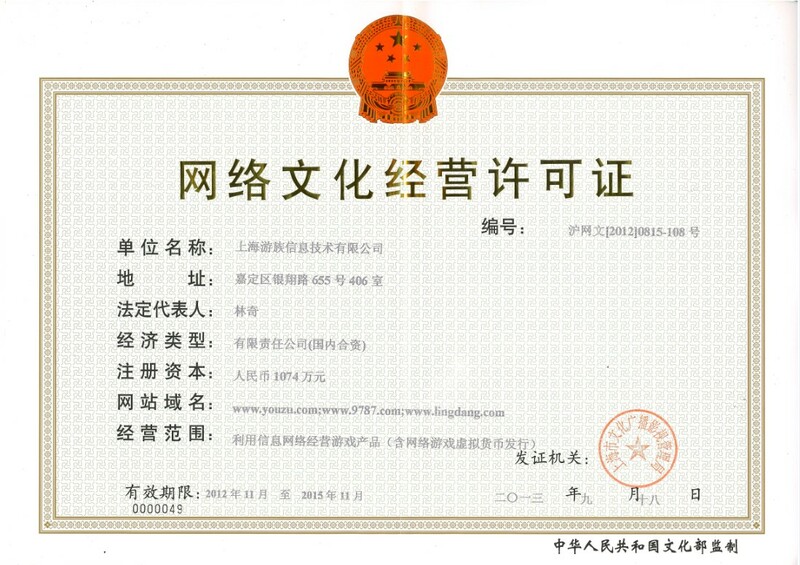 In June 2014, YOOZOO Games officially listed on the main board of China's stock market as an A share stock. YOOZOO Games' world-leading mobile developer platform Mob covers 6 billion mobile devices, continuing to enhance the company's big data advantages through strategic partnerships with industry giants like Google, Facebook, and Alibaba. On the basis of big data, YOOZOO Games operates using a 'film-game integration' model, focusing on outstanding IPs to deliver series of major cultural products such as films, games, cartoons, fiction, and commercial property, building a globalized ecosystem for the pan-entertainment industry. June 2009: YOOZOO Games officially founded. Sept 2009: YOOZOO Games launches its premier strategy game, Thirty-Six Stratagems. March 2010: Thirty-Six Stratagems sweeps China by storm, operating over 300 servers in mainland China. June 2010: Thirty-Six Stratagems exported to Hong Kong, Macao, Taiwan, Singapore, Malaysia, and Philippines. Sept 2010: YOOZOO Games launches its second self-developed innovative martial-arts browser game, A Decade's Sword. 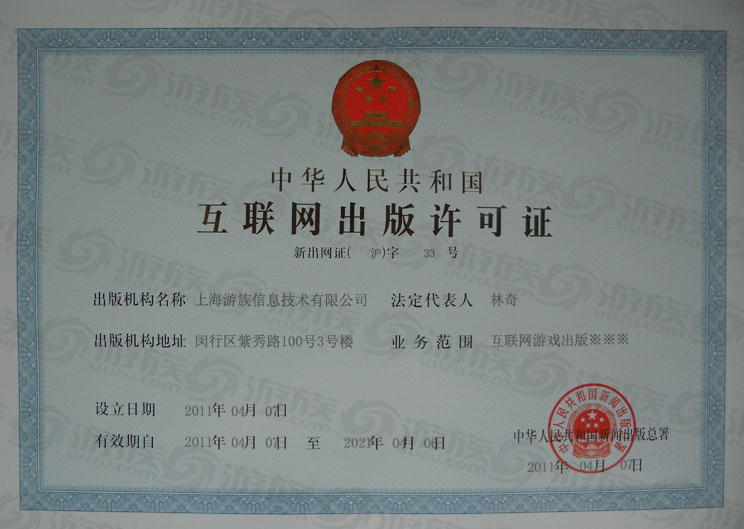 Oct 2010: Thirty-Six Stratagems awarded with the Golden Plume Award for Top 10 Games by China's General Administration of Press and Publication. Jan 2011: YOOZOO Games' A Decade's Sword and Thirty-Six Stratagems win three major awards for the 2010 Browser Game Charts contest. June 2011: YOOZOO Games surpasses 500 servers for both Thirty-Six Stratagems and A Decade's Sword in China. July 2011: YOOZOO Games joins hands with CJ E&M Group, bringing A Decade's Sword to Korea, and then Vietnam three months later. Dec 2011: China GPC names YOOZOO Games' fourth product The Grandmaster the "Most Anticipated Browser Game." Jan 2012: YOOZOO Games begins closed beta testing for The Grandmaster, the first dual-mode browser game in the industry. June 2012: YOOZOO Games begins testing of its first second-generation browser game Swords Man, officially introducing the "Swords Man Culture." July 2012: YOOZOO Games makes its premier at the ChinaJoy expo, CEO Lin Qi represents browser gaming industry at CDEC Summit. Aug 2012: YOOZOO Games' newest SLG browser game masterpiece The General begins its first closed beta testing. Swords Man and The General make their first TV appearance when CCTV-13 covers YOOZOO Games on "News Live." Oct/Nov 2012: YOOZOO Games releases iPad version of A Decade's Sword and mobile version of The Grandmaster on the gaming platform 91app.com. Oct 2012: YOOZOO Games makes great inroads at Korea's G-star Global Game Exhibition. March 2013: Martial arts mobile game Kongfu Fantasy goes online and climbs the rankings, mobile version of The Grandmaster tops the chart of paid games in Taiwan. April 2013: YOOZOO Games releases new version of Kongfu Fantasy, surpassing a monthly income of RMB 15 million. July 2013: YOOZOO Games begins open testing of League of Angels, its first browser game based on Western mythology. Dec 2013: YOOZOO Games is selected as one of top 10 gaming brands for 2013, CEO Lin Qi is named as one of top 10 influencers of the gaming industry. Jan 2014: YOOZOO Games' League of Angels makes the top ten chart list for most popular browser games. Oct 2014: Following 2 years of intensive development, YOOZOO Games begins closed testing of its new gaming heavyweight, The Great Emperor. June 2014: YOOZOO Games holds "U Future" Thank-you Banquet and Strategic Conference to celebrate successful market listing. Sep 2014: YOOZOO Games begins open testing of its 2014 fantasy mobile game, League of Angels. Feb 2014: YOOZOO Games successfully completes reverse-merger with SUSINO. Feb 2015: YOOZOO Games becomes one of Shanghai's major cultural trade enterprises. April 2015: YOOZOO Games acquires ShareSDK, entering big data arena. Jan 2015: YOOZOO Games wins four Golden Plume awards. March 2015: League of Angels wins acclamation by foreign media, and is named most anticipated game by IGN. March 2016: YOOZOO Game acquires renowned European gaming company Bigpoint, expands YOOZOO Games' global reach. May 2016: YOOZOO Games holds press conference for Touken Ranbu-ONLINE-, unfolding its ACG (anime, comics, and games) strategy. July 2016: YOOZOO Games advertises release of mobile game Junior Monkey King, creates an IP for their "Junior" series of games. June 2016: YOOZOO Games forms strategic partnership with Alibaba Cloud, making deep inroads into the gaming big data industry. Jan 2016: YOOZOO Games' original IP shows signs of growing popularity, Lin Chi-Ling announces League of Angels sequel. 2016: Junior Three Kingdoms sets a new income record for Chinese New Year, earning over RMB 20 million at highest in a single day. Jan 2017: YOOZOO Games makes list of China's top 30 export brands. Jan 2017: YOOZOO Games begins strategic partnership with Want Want China Holdings Limited, creating a new benchmark for cross-industry partnerships. March 2017: YOOZOO Games establishes branch company in India, further expanding its global presence. April 2017: Chinese celebrity Gao Xiaosong makes his first foray into video games, serving as honorary producer of Thirty-Six Stratagems. Feb 2017: Sweeping the ACG (anime, comics, and games) circle, Touken Ranbu-ONLINE- begins platform-wide open testing. June 2017: Wonder Woman actress Gal Gadot officially becomes global spokesperson for YOOZOO Games League of Angels-Paradise Land. May 2017: Junior Three Kingdoms surpasses 100 million players globally, over 50% of whom are part of the post-90s generation. 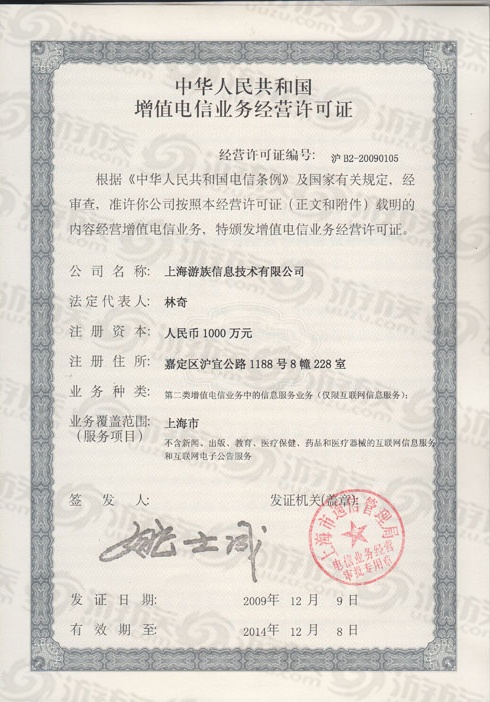 Mr. Lin set up YOOZOO GAMES in 2009, responsible for planning, orienting, and managing the company's overall strategy. He was a partner with Yoyi (Beijing) Advertising Co., Ltd, and earned a Bachelor of Management from NUPT in 2004. Mr. Chen joined YOOZOO GAMES in 2010, and serves as Director and COO, responsible for gaming operations. He earned his Bachelor of Science from NUST in 2004, and completed an MBA at Nanjing University in 2007. Mr. Cui joined YOOZOO GAMES in 2011, responsible for the company's IP development and management, film-game crossovers, and game product innovation. He once served as CTO for Shanghai Haohong Advertising and CEO for Shanghai Xinghuo Information Technology. Mr. Zhang joined YOOZOO GAMES in 2011, and conducts planning, operations management, and training for all our affiliated studios. He led the development of League of Angels, both the browser game and mobile version of which became an industry benchmark.